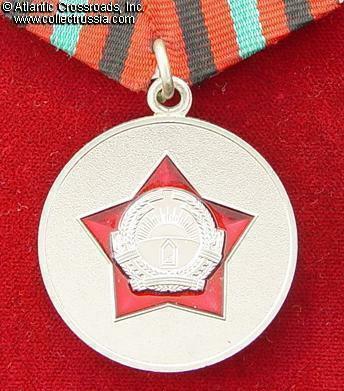 Medal for Service in the Armed Forces, 4th class (for 5 Years of Service), 1987-1992. German silver, red enamel. 32mm wide. 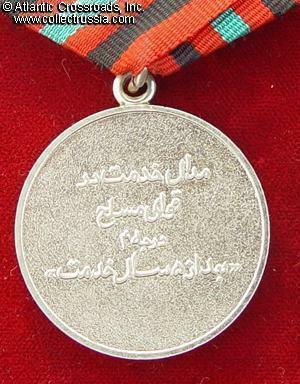 Inscribed in Dari "Medal of Service in the Armed Forces, 4th Class, After 5 Years' Service". Excellent condition. Comes with original suspension and lightly used generic ribbon.